Do you have what it takes to lead a new initiative that aims to enable market access for community enterprises in support of biodiversity conservation and sustainable livelihoods, in the world’s most critical landscapes? And are you ready for a meaningful job in an organization that is changing the world? Then this position might be for you. On behalf of the world’s leading conservation organization WWF, Brightpeople executive search is seeking a Director, Nature Pays Hub. In this role, you will lead the next stage of development and strategy execution for the Nature Pays Hub and its mission to deliver against WWF’s Global Goals. Further, you will be providing strategic advice on program proposals, and develop and catalyze business model or tech innovation game changes for small scale conservation enterprises. WWF launched a new strategy that harnesses the strengths of the WWF network in a shared vision, focusing on six major goals – water, wildlife, the ocean, climate and energy, forests, and food – and three key drivers of environmental problems – markets, finance, and governance. In support of this strategy, WWF undertook a redesign of its international secretariat that will further unite WWF offices and its near 6,400 staff around the world. This will help WWF to build stronger partnerships across the world with government, business, civil society and individuals. Together, we will deliver on WWF’s ambitious goals. In the role as Director, Nature Pays Hub, you will be working for WWF’s International Secretariat and WWF Denmark to help WWF achieve their new ambitious goals, and build a future where people live in harmony with nature. The Nature Pays Hub aims to foster a community, share best practice and spur innovation to enable market access for community enterprises in support of biodiversity conservation and sustainable livelihoods, in the world’s most critical landscapes. Community-based enterprises that develop conservation friendly products and services – such as non-timber forest products, medicinal plants, rattan, sustainable crops (coffee, cocoa, rice, palm oil, etc. ), tourism services, forest management, etc. – are a key conservation strategy employed across the WWF Network. The rationale is that communities are the front line for conservation but need to see an economic value from conservation and participate in economic growth. Moving forward, this investment will further increase as enabling successful community enterprises are a critical component of many of WWF’s highest strategic priorities. Community of Excellence to capture knowledge, develop and share best practices. Advisory Services for WWF enterprises, programs, and proposals. Design Innovation to shift the paradigm through business model and technology innovation such as development of ‘WWF Wild Places’ (focus on eco-tourism), ‘WWF Panda Goods Exchange’ (focus on products) or ‘Wild Credits’ (payment for conservation through blockchain). For the last year, the Nature Pays Hub has been incubated by the WWF International Markets Practice that guides WWF’s overall strategy to engage with Markets to deliver against WWF’s Global Goals. WWF is seeking a Nature Pays Director to lead the next stage of development and strategy execution for the Nature Pays Hub and its mission to deliver against WWF’s Global Goals. The Director will guide the Nature Pays Hub involvement in the Networks most significant priorities where scaling up sustainable community enterprise through market linkages is a critical priority. He or she will provide strategic advice on program and/or funding proposals, develop, apply and/or catalyze business model or tech innovation game changes for small scale conservation enterprises, bring together the knowledge and expertise of the community of WWF practitioners to share best practices across projects, landscapes, and continents. He or she will also be an external face for small scale enterprise innovation at WWF. The director will manage the day-to-day management and administration of future Hub fundraising efforts, hiring and staff administration, and budget management. The position will be hosted by WWF Denmark where the Director will also contribute to the Strategic Partnership Agreement (SPA) with DANIDA in areas that have a high degree of convergence and synergy with the Nature Pays HUB. Particularly, under the intervention area “sustainable market transformation and finance for development”, which has the objective of ensuring market-based change mechanisms that contribute to sustainable production and consumption with increased social inclusion and equity in communities living at the front-line of conservation. Also, the Director will contribute to WWF’s civil society engaging work in general – particularly in supporting community-based organizations within areas of capacity development and strategic service delivery with the aim of developing sustainable financing for community-based organizations. In this area, the Director will play a supportive and coordinating role across programmes with similar requirements from Nordic public sector partnerships. Lead and define strategies within a defined area of expertise (those areas mentioned above) in order to build a strong business case for action. Work across the Network (especially with the WWF Markets Practice and relevant country offices, including PSP programme partners offices in North and South) to further develop early win, signature initiatives that engage a broad coalition and deliver measurable impact for both communities and the environment. Provide strategic advice to WWF priority initiatives as defined by the director and WWF practice leaders such as the Oceans Coral Reef High Impact Initiative, The Cerrado Landscape, the People Protecting Landscapes High Impact Initiative, etc. Further develop tools and best practices for WWF practitioners, civil society partners, and externals for working with community enterprises. Maintain and engage WWF community of practitioners and partners in knowledge sharing and best practices development through webinars, outreach, etc. Build partnerships with external organizations including CSOs. Provide thought leadership in developing sector and issue specific competence and represent WWF at internal and external forums. Support the development of a business model and tech innovation for community conservation pipeline and approaches that bring the innovation to scale through skills, networks, and finance. Manage Nature Pays Community Manager and budget. Drive Nature Pays Hub fundraising and growth trajectory. Provide strategic and technical advice in the SPA programme and other PSP programmes particular within areas of civil society/ local community support. E.g. strategic service delivery, capacity development, advocacy, and innovation to strengthen community-based organizations. Contribute to Monitoring, Evaluation, Planning and Learning in the SPA programme. Impact measures to be put in place: Practitioners and enterprise managers trained, enterprise performance and conservation impact objectives and monitoring process defined (Capacity building for enterprises improvement), Proposal funding generated, community members reached, Feedback on value created from WWF staff (survey and interviews). Process goals: Projects and enterprises supported, innovation project milestones achieved, community size and engagement, partnerships developed. 8+ years of work experience in entrepreneurship, business, sustainability, and/or development. Further experience in one or more of the following areas: Community Enterprises, Sustainable value chains; Multi-stakeholder partnerships; Building consumer demand for sustainable products and services. Field experience supporting for-profit community or small scale enterprises in developing market strongly preferred. Experience working in the global south (America, Africa, Asia). MBA or a post graduate degree in Economics, Marketing, Sustainable Development, or other related fields or equivalent work experience. Proven entrepreneurial or interpreneurial success. Ability to handle (and be excited by) challenge and associated uncertainty building a business or internal program from the ground up. Proven knowledge and understanding of global market & business dynamics. Demonstrated experience in building large scale alliances, initiatives or platforms for change that leverage the capacity of partners. A network of external relationships that extends WWF’s current reach. Evidence of agile proactive thinking combined with an optimistic approach within a realistic framework. Ability to interact with senior leaders. Analytical and structured thinker, identify patterns and use them to set strategic and operational direction. Strong team player and internal organizational networker. Please submit your application and CV through https://www.brightpeople.dk/rekruttering/director-naturepayshub/. The recruitment process is carried out on an ongoing basis and will be closed when we have the right match for the position. We, therefore, encourage you to submit your application as soon as possible and no later than the 4thof March 2019. Ideally, the new Director will start on 1stof May. All over the world, nature is under pressure. Rainforests are cleared, the oceans emptied of fish and greenhouse gas emissions are impacting the climate. The world’s unique natural areas are under hard pressure and many animal species are endangered. WWF’s mission is to conserve nature and reduce the most pressing threats to the diversity of life on Earth. In other words; ”to stop the degradation of our planet’s natural environment, and build a future in which people live in harmony with nature”. 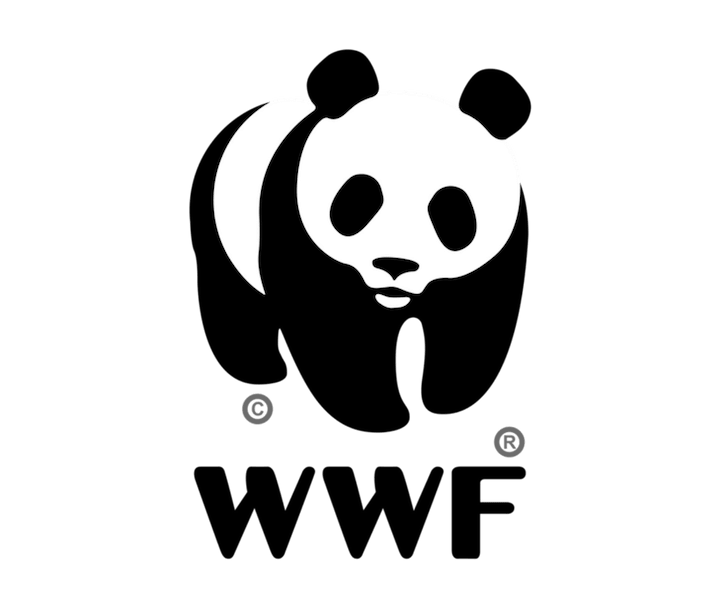 WWF strives to conserve many of the world’s most ecologically important regions, and they are executing their mission in partnership with foundations, governments, businesses, communities, individuals and more than six million members. Please submit your application and CV through https://www.brightpeople.dk/rekruttering/director-naturepayshub/. The recruitment process is carried out on an ongoing basis and will be closed when we have the right match for the position. We, therefore, encourage you to submit your application as soon as possible and no later than the 4th of March 2019. Ideally the new Director will start 1stof May.